When you’re sick, you might develop a fever. It can be part of the body’s response to an infection. 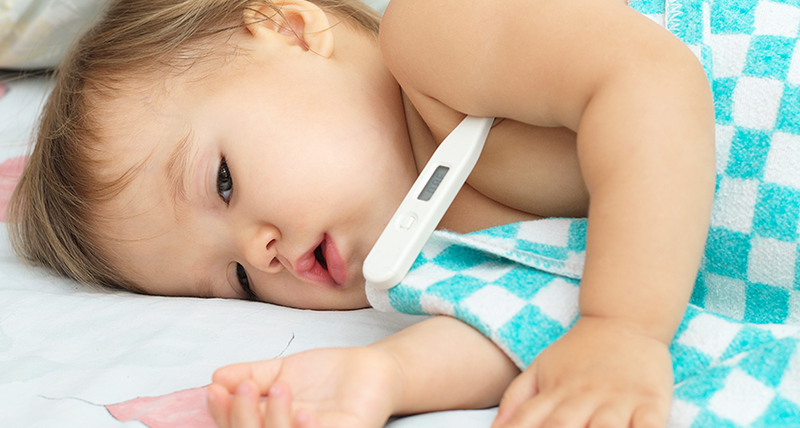 But exactly how that fever helps the body fight infections has long been a mystery. A new study in mice shows that it helps immune cells more quickly reach and attack harmful germs. JianFeng Chen works at the Shanghai Institute of Biochemistry and Cell Biology in China. His team studied how immune cells travel from a blood vessel to the site of an infection. A fever gives the cells a superpower that speeds up that trip, his team found. The immune system is similar in people and mice. So Chen’s group used cells from mice to study how fever might work in people. They found that fever's heat boosts two molecules that help T cells get from blood vessels into lymph nodes. One is alpha-4 integrin (INT-eh-grin). It’s part of a group of proteins on the surface of T cells that help these cells chat with each other. The other is known as heat shock protein 90, or Hsp90. As body temps climb, T cells make more Hsp90 molecules. As these molecules accumulate, the cells switch their α4 integrin to an active state. This makes them sticky. It also allows each Hsp90 molecule to attach itself to the tail ends of two α4-integrin molecules.